SCREEN Adopts "Digital Everywhere!" as Its Theme for IGAS 2018 | SCREEN Graphic Solutions Co., Ltd.
SCREEN Graphic Solutions Co., Ltd. (SCREEN GA) will take part in the International Graphic Arts Show 2018(IGAS 2018), to be held at Tokyo Big Sight in Ariake, Tokyo from July 26 (Thu) to 31 (Tue). SCREEN GA has chosen a theme of "Digital Everywhere!" for the event to reflect the major international impact of digital printing and its own ability to lead this change. 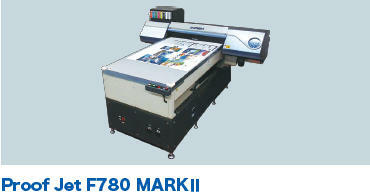 The company will be exhibiting a range of digital printing solutions it has developed. Demand for mixed and small lot production of printed materials has grown rapidly in recent years as consumer needs have continued to diversify. We have suddenly entered an era in which digital printing has become a common part of everyday life and personalized, variable and other digital formats enable the creation of individually customized items. In its stand, SCREEN GA will present a wide range of samples illustrating the possibilities available with a digital printing business. This will include many items not possible with standard offset or seal label printing, including mixed and small lot on demand books, variable direct mail, security tickets, food packaging labels and shrink-wrap labels for beverages. The presentation will be based on the Truepress Jet series' cutting-edge technologies and worldwide application results. 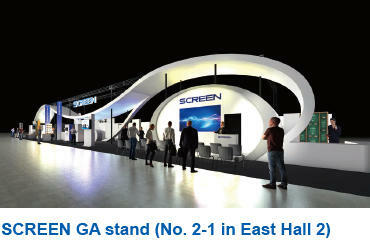 Visitors are warmly invited to experience SCREEN GA's advanced solutions for themselves at its stand. It will be an opportunity to see the company's EQUIOS solution platform, which forms the core of all its applications. The company also plans to introduce its new CtP solutions. The Truepress Jet520HD high-speed inkjet press will be on display along with its dedicated SC inks. Together the two enable the production of items such as on demand books using offset coated papers and premium variable direct mail. Their excellence has led to them receiving twin prizes in the US and Japan, a 2017 InterTech™ Technology Award from Printing Industries of America (PIA) and a 2018 technology award from the Japanese Society of Printing Science and Technology (JSPST). Newly improved drying functions have further increased print speeds to 75 meters per minute on offset coated papers. Attendees will have the opportunity to see a production solution built around EQUIOS that is linked from its front end right through to a cut and stack system provided by postprocessing experts Tecnau. There will also be demonstrations showing high-quality output onto offset coated paper using SC inks as well as wide color gamut printing in six color mode (provisional exhibit). The cutting-edge Truepress Jet520NX supports a wide variety of applications including the creation of checks, tickets and direct mail requiring security functions or transactional printing plus study guides tailored to individual learning levels. The system will be used in a demonstration that includes the installation of an extra ink printhead (provisional exhibit) compatible with functional inks to show the Truepress Jet520NX's high value added capabilities. The Truepress Jet L350UV+LM will make its Asian regional debut at IGAS 2018. The high-end model enables a significantly expanded range of applications including food packaging labels and shrink-wrap labels for beverages. It is also compatible with SCREEN's low migration inks featuring reduced odor and is equipped with a nitrogen purge mechanism that promotes UV curing. 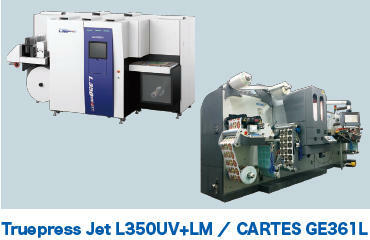 A laser die cutting machine from Cartes will also be on display as a postprocessing solution. Technologies newly developed by Cartes are highly effective for overcoming the issue of white edges generated during die cutting. The system's capabilities will be introduced in a demonstration of high-speed cutting using variable data. EQUIOS will be on display at the SCREEN stand. This solution platform forms the core of the digital inkjet presses exhibited by SCREEN at IGAS as well as the printing solutions enabled by the latest CtP technologies. EQUIOS promotes process automation from data submission right through to postprocessing and also links to production presses to create hybrid workflows that allow it to integrate seamlessly into production lines. The exhibit will also include the debut of EQUIOS Online Version 5, the latest edition of the platform's Web portal system. The package includes new user authorization functions that have been upgraded to accommodate the major changes made to the interface in the previous version, as well as improved plate inspection functions. Visitors will be able to inspect the Proof Jet F780 MARK II, an inkjet press specifically designed to handle papers for final print runs. In addition to actual print stock, the system is able to perform output on specialty, thin and vapor deposition papers, and is also compatible with various types of fluorescent pink ink. The press will be used in a demonstration involving the proofing of four color and fluorescent pink inks previously performed on conventional proofing and printing systems. SCREEN GA will display and demonstrate the Scodix Ultra2 Pro with Foil, a Digital Enhancement Press, UV inkjet system with digital embossing and foil application capabilities. In addition to a wide range of Scodix samples showing customer successful case studies from around the world, visitors will be able to inspect various printed samples including newly developed holographic effects, thin embossed foil, showing all Scodix 9 applications including: Scodix Sense™, Scodix Foil™, Scodix VDE™, Scodix Metallic™, Scodix Glitter™, Scodix Braille™, Scodix Spot™, Scodix Crystal™, and Scodix Cast&Cure™. A full range of SCREEN maintenance services will be introduced at IGAS. These services are designed to prevent equipment problems and maximize operating ratios. SCREEN's comprehensive support network enables the isolation of potential issues and explanation of operating procedures as well as the provision of analytical reports and technical information. These services allow a greater understanding of system conditions that forms the foundation for highly stable production.